The United States’ high maternal mortality rate is heartbreaking no matter how you look at it, but is even worse for women of color. African-American women are 3.5 times more likely to die as a result of pregnancy or childbirth than white women. Between 2011 and 2013, the maternal mortality rate for white women was 12.7 deaths per 100,000 live births. Comparing that to 2015 data from the World Health Organization (WHO), that rate puts white women’s maternal mortality on par with mothers in Qatar and Bahrain, two wealthy Persian Gulf nations. 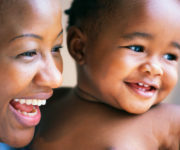 African-American women, however, suffered 43.5 deaths per 100,000 live births, putting their maternal mortality on par with those of Turkmenistan, Brazil, and Mongolia. Judging by her resume, with multiple graduate degrees and a prestigious career in public health, Shalon Irving was the last person you’d expect to die three weeks after giving birth, but her shocking death shook her family and community to the core. Irving was an epidemiologist at the Centers for Disease Control and Prevention, where she was an expert on racial disparities in health care. After giving birth, she developed a hematoma, a rare complication of a cesarean-section. Irving was given blood thinners to reduce risk of blood clots, but they prolonged the healing of her C-section. Irving’s blood pressure skyrocketed to levels that some experts say should have been considered an emergency — but wasn’t treated as one. One night, she passed out, never to regain consciousness. Tragically, her expertise and access to quality health care didn’t save her. After four days on life support, her family said goodbye. Irving’s Twitter bio declared, “I see inequity wherever it exists, call it by name, and work to eliminate it.” The fact that she was a victim of this inequity makes her commitment to eliminating it that much more bittersweet. It’s difficult to sort through the many culprits that collude to give African-American women higher maternal mortality. They run the gamut, from relatively concrete issues like health care access, to the messy matters of racism, which itself can worsen black women’s health through stress or contribute to biases among health care providers. It’s important to address racial inequities around health care access. Black women have nearly triple the risk of pregnancy complications compared to white women, and those with high-risk pregnancies are 5.6 times more likely to die compared to white women with high-risk pregnancies. Nearly half of African-American maternal deaths are preventable, compared to 33 percent of white women’s maternal deaths. Health conditions that make childbirth more risky — obesity, high blood pressure (hypertension), diabetes, and heart disease — are on the rise among pregnant women, especially among African-American women. Black women also have a higher rate of uterine fibroids, which increase risk for problems during pregnancy. Women of color have lower access to family planning services, and, consequently, higher rates of unintended pregnancies, which carry with them increased risk for complications. Amnesty International cites a study that found 69 percent of African-American women’s pregnancies were unintended, compared to only 40 percent of white women’s pregnancies. Black women are more than twice as likely as white women to receive delayed prenatal care, which itself predicts riskier pregnancies. Additionally, access to maternity care is notoriously spotty in rural America — in 2014, 54 percent of rural counties had no hospitals offering obstetric care, and counties with large African-American populations bore the heaviest burden. But city living isn’t the solution, either: New York City has the staggeringly high black maternal mortality rate of 83.6 deaths per 100,000 live births. That puts black women in New York City in the same ballpark as their counterparts in North Korea and Guatemala, according to WHO data. The Affordable Care Act was supposed to expand access to contraception, prenatal care, and other preventive care, but many states opted not to expand Medicaid, denying these benefits to millions. African Americans were hit hardest by states’ refusal to expand Medicaid. Black women, along with other women of color and low-income women, are more likely to get medically unnecessary C-sections and less likely to get medically necessary C-sections — a paradox that sees them at higher risk for a dangerous surgical procedure that is less likely to save their lives. To save the most lives, obstetricians must be judicious when deciding who needs a C-section and who does not. Addressing disparities in health care access is complicated enough — but it’s nothing compared to dismantling racism. There is evidence that health care providers, infected by racist stereotypes, can subconsciously (or deliberately) deliver substandard medical care to their black patients. Outside of the clinic, the stress of racism is thought to be the cause of dramatic racial disparities in health, even after other factors like socioeconomic status are taken into account. It’s a social force that African-American women can’t escape, even if they’re wealthy public figures like Oprah Winfrey or Michelle Obama. The direct and indirect effects of racism manifest themselves in black women’s maternal mortality. 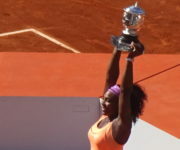 So it is not surprising that the black maternal mortality rate is higher even when socioeconomic status is taken into account — a sad fact illustrated by the near-fatal experience of tennis champion Serena Williams. Shortly after giving birth to her daughter by emergency C-section, Williams developed a pulmonary embolism, a blood clot in the lungs. Having already experienced one in 2011, she was familiar with the symptoms and relayed her concerns to a nurse — but says she was initially dismissed. The downplaying of her potentially serious symptoms mirrors the reported experiences of women and people of color, who are less likely to be taken seriously by health care providers. Williams was able to advocate for herself, and tests confirmed the pulmonary embolism. Unfortunately, that wasn’t the end of her ordeal — Williams found herself at the brink of death as doctors raced to tend to her C-section wound, control internal bleeding, and prevent the formation of further blood clots. During the first six weeks of her daughter’s life, Williams underwent three major medical procedures before being confined to bed rest. Reproductive rights encompass so much more than access to contraception and abortion. To raise healthy families, we need a system that supports us before, during, and after our pregnancies. Such a system includes expanded access to reproductive health care, including family planning, prenatal care, and maternity care. One victory took place in North Carolina, which closed the black-white racial divide in maternal mortality between 1999 and 2013. North Carolina can credit their accomplishment to expanding access to lifesaving resources, such as early prenatal care that connects people with risky pregnancies to “pregnancy care managers” for extra support in maintaining their health. Other states might see similar successes if they adopted North Carolina’s unique model. However, nine months of care during pregnancy don’t make up for a lifetime of neglect — to be healthy, people need general health care to prevent and manage chronic conditions like diabetes and high blood pressure, which increase maternal mortality risk. Unfortunately, the country is in the midst of a shortage of general and maternity care providers, and people of color are disproportionately affected. This shortage might be addressed by recruiting more people of color to health care professions — where African Americans are underrepresented. Some argue that the relative rarity of black health care providers accentuates the health disparities this community suffers, and a more diverse workforce could help reverse those inequities. To achieve that goal, we must improve the pipeline from K-12 schools to colleges, universities, and medical schools — which means serious investment in education in communities of color. Employers can also do their part by making it easier for workers to maintain good health. If black women are less likely to have jobs with flexible schedules, sick days, and paid family medical leave, they are less likely to be able to take care of their health before and during pregnancy. Even when they do have jobs with good pay and benefits, black women are still subjected to higher levels of stress, whether it comes in the form of sexual or racial harassment, or the extra work they often put in to prove themselves in the face of sexist and racist workplace biases. For most Americans, phrases like “human rights violations” conjure images of political dissidents languishing in dark prison cells. But Amnesty International considers racial disparities in U.S. maternal mortality rates to be a violation of international law. Even our overall maternal mortality rate, which is lower than the rate for black women, is seen as a sign of “significant systemic human rights failures.” To be the country we want to be — the country many of us believe we already are — we need to uphold the right to a safe, healthy pregnancy. Instead of letting some of us live in Qatar, and others live in Mongolia, we must bring equally high standards of care to all of our citizens, so that we are all living in one United States. Planned Parenthood health centers across the country can help educate you about prenatal health and refer you to additional resources if necessary. To help you have a healthy pregnancy, Planned Parenthood Arizona offers smoking cessation, and our Title X centers can provide you with prenatal vitamins if you qualify. This entry was posted in Pregnancy & Parenthood, Racial Justice and tagged accessibility, Affordable Care Act, African American, African Americans, Amnesty International, black women, blood clot, blood pressure, C-section, Caesarean section, Centers for Disease Control and Prevention, cesarean-section, childbirth, complications, diabetes, education, family leave, health care, health disparities, high blood pressure, human rights, hypertension, maternal death, maternal death rate, maternal health, maternal leave, maternal mortality, maternal mortality ratio, maternity care, maternity leave, Medicaid, Medicaid expansion, medical leave, Mongolia, New York City, North Carolina, Obamacare, obesity, parental leave, paternal leave, paternity leave, people of color, pregnancy, pregnancy-related deaths, preventive health services, Public Health Service, pulmonary embolism, Qatar, racism, Serena Williams, Shalon Irving, stereotype, stress, systemic racism, uterine fibroids, work-life balance, World Health Organization by Anna C.. Bookmark the permalink.